You want your smile to be something people notice. So shouldn’t you keep it healthy? Cavities don’t stop when you grow up – they’re something that need to be prevented actively your whole life. Always brush your teeth twice a day and floss at least once. • Put down the cola and candy. Sugary or starchy snacks can cause decay. • Don’t smoke. Ever. And remember, second hand smoke can be dangerous to your overall health. • Have regular dental checkups to keep your smile bright and healthy. 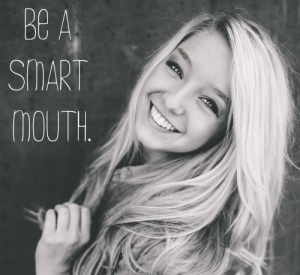 Teens go through a lot of changes – but good oral health shouldn’t be left behind.